The Heart of Wales Railway links Shrewsbury to Swansea and, on the way, passes through some of Wales most stunning scenery. As well as being a spectacular journey, the line provides access to splendid walking country, and gives you the opportunity to reach the start of each route without the use of a car. Having been in print continuously for ten years, it has now been completely revised, updated and expanded with the help of the experienced walker and author Les Lumsden. 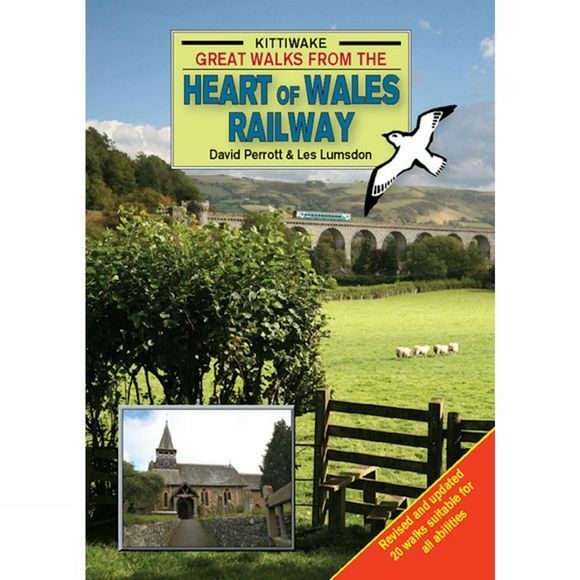 From Shrewsbury in the north to the lines southern terminus at Swansea these 20 walks provide a wide range of opportunities, ranging from town and riverside explorations to more adventurous excursions into the mountains, all with the possibility of an exciting railway journey.